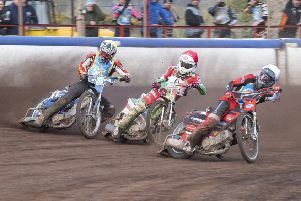 Edinburgh Monarchs remain in limbo over finalising their squad for the defence of their Premier League speedway title this season. The Capital outfit have one reserve position still to fill and, while that role could yet be handed to Aussie star Mitchell Davey, Monarchs boss Alex Harkess admits he might be forced to look at other options. Davey is awaiting the arrival of a British passport but Monarchs have no idea when it will turn up. Harkess said: “Mitchell was told he is eligible for a UK passport and filled in all the relevant forms. He received confirmation that everything was okay but then was asked to supply fingerprints and a picture which he duly did and was told to wait until it was sent out to him. This was all done before Christmas. “Mitchell needs to have his passport three days before we need to use him in our first league match against Workington in April,” revealed Harkess. Monarchs begin their 2016 campaign with an inter-league challenge fixture against Belle Vue Aces at Armadale on Saturday, April 2.